I am a life-long resident of Nashville, Tennessee, with the exception of my years at the University of Tennessee at Knoxville. I live my life like I have operated my law practice, thriving on competition. In high school, I was co-captain of the 1974 Father Ryan State Championship Football team and '75 wrestling team, placing twice in the state tournament. For the past 20 years, I have been an avid runner and have completed 11 marathons in 5 different cities. All though my childhood and as an adult, I have tried to excel and win at any sport or endeavor. The practice of law is no different. I graduated with honors from UTK in 1979 and from the University of Tennessee Law School in 1982. For the first six years of my career, I represented police departments in Knoxville and Nashville in civil rights cases and felony forfeitures. I left government practice in 1988 and went to work with noted criminal defense attorneys Lionel Barrett and Rich McGee. There, I learned from the masters of criminal trial practice. In 1991, I began my own separate private practice and in 1997, joined forces with Patrick Johnson and J.P. Barfield to form Johnson, Scruggs & Barfield. Our law firm has over 60 years of combined trial experience and we have won many trial victories over the past 10 years. I have been a member of both the National and Tennessee Associations of Criminal Defense Lawyers for over 12 years. My criminal trial practice has covered many areas but by far the most successful aspect of my career has been in the defense of those wrongfully accused of child abuse, both sexual and physical. (See sample victories, below). No other area of the criminal justice system is as controversial or demanding. No other cases are as emotional. Finally, no other topic has the effect of making persons blind to reason or destroys the reputation of the accused. 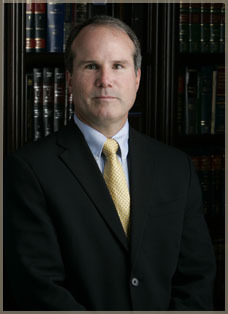 A successful trial lawyer must not only be the person who can "quarterback" the client through the mine field of a criminal trial but he must also be able to design the "game plan" which will enable the jury to connect with the accused and recognize that there are two sides to every story, not just the one proposed by over zealous prosecutors blinded by ambition. My approach in the defense of such a case is to thoroughly explore and evaluate all aspects of a situation which led to the accusations which will inevitably lead to the theory we will use in defending those accusations since that is where the truth will be. Unlike law enforcement agencies, we will look at all possibilities to explain why a young "victim" is fabricating claims that will put an innocent person in prison for the rest of his/her life.